Who doesn’t need a little something extra here and there to enhance their style or just make life a wee bit more convenient? 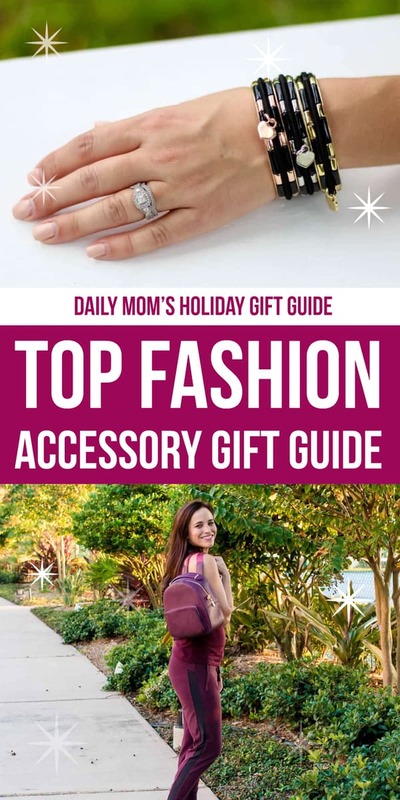 Here at Daily Mom, we were thinking that everyone could use a fashion accessory somewhere in their life. From the fashionista to the beauty-minded soul, give them a little trinket (or big) with something that says, I was thinking of you (and that amazing outfit!). 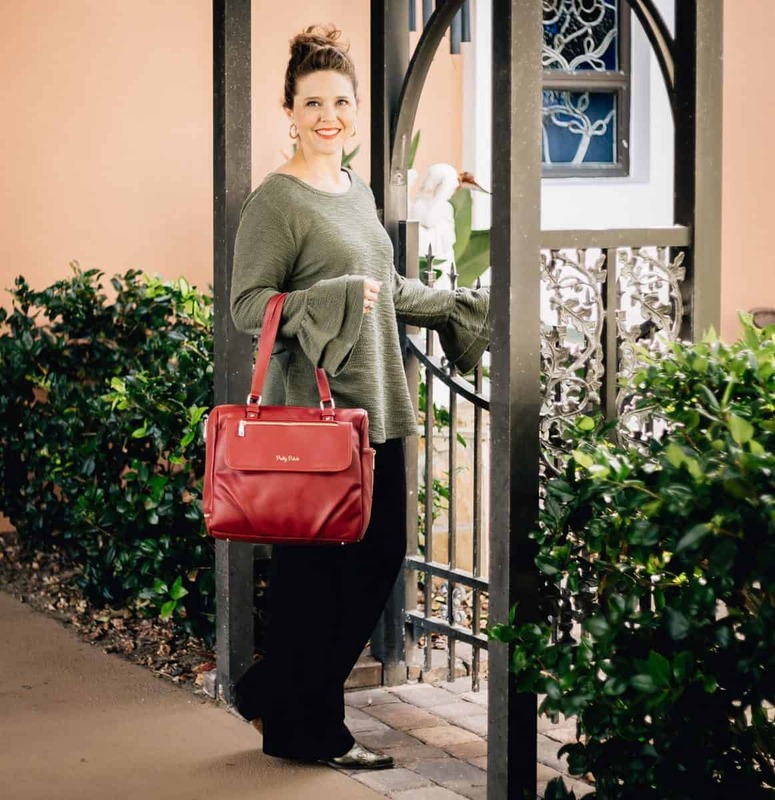 Every mom deserves a beautiful handbag like the Ora Delphine Alisa Satchel. 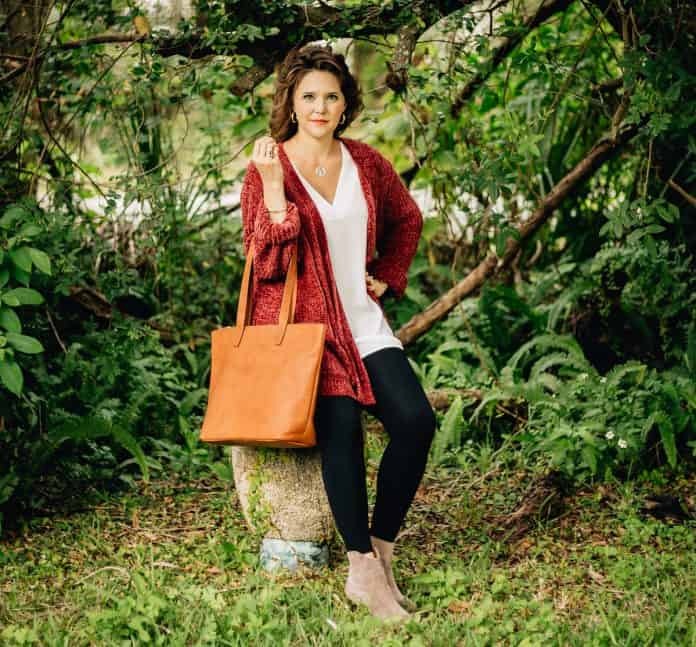 Fashion meets function with this gorgeous, genuine leather bag featuring a roomy interior with pockets to stay organized. The removable, adjustable strap ensures a perfectly comfortable fit while the exterior front zip pockets offer convenient, accessible storage and organization while on the go. The Alisa Satchel is the perfect everyday handbag that can be used year round. This handbag is featured in the shade “Smoke,” which provides versatility with its neutral tone. The Alisa can be found in other stunning colors such as violet, turquoise, walnut and rose, depending on her style. The gold tone hardware elevates this beautiful bag and adds a touch of shine. 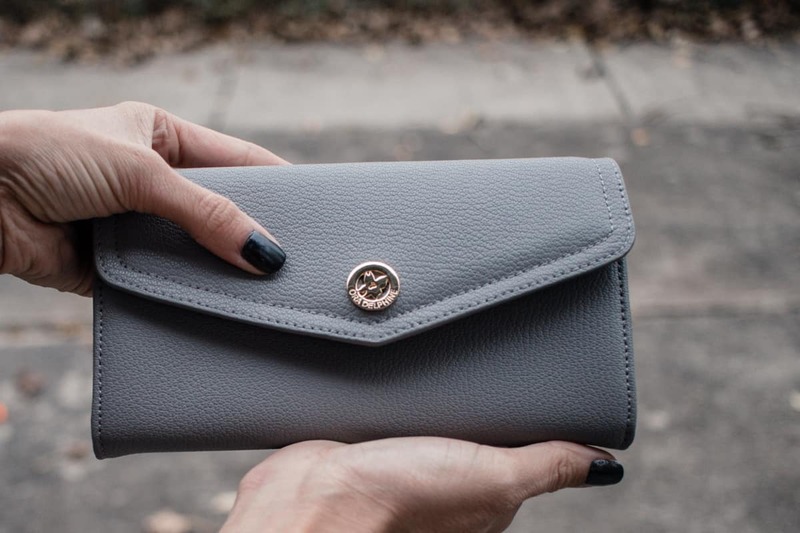 The Tatum Wallet is the perfect accessory to stay organized with the Alisa Satchel. This classic envelope style wallet features matching genuine leather and gold-tone hardware. 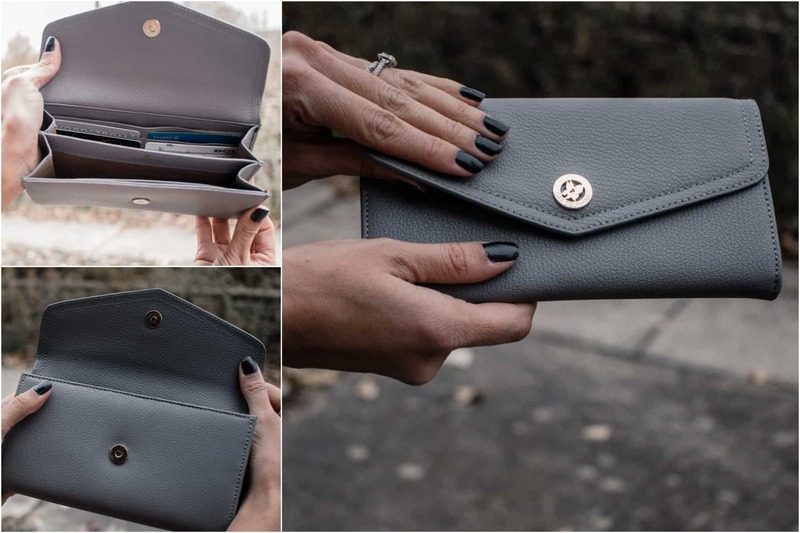 The front flap magnet closure keeps this wallet secure, while the interior slip pockets, card slots , and compartments offer easy access and organization. 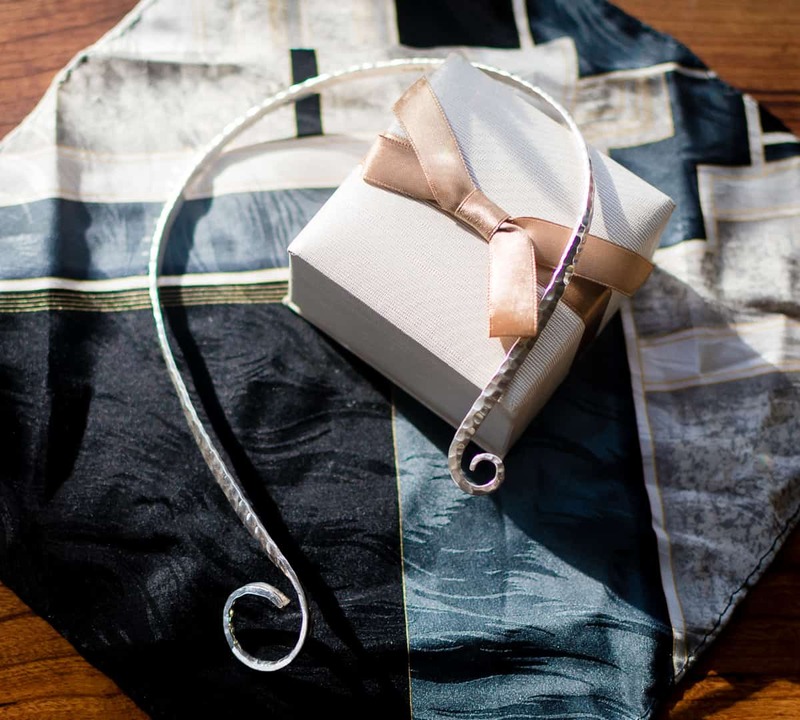 Give mom the gift she really wants with Ora Delphine. These high-quality items are gorgeous, practical gifts that she will use over and over for years to come. You are unique. When you think of that special someone to give a gift to this holiday season, you are probably thinking the same thing. They are unique. When it comes to choosing jewelry for your special lady, Yasha’s Jewels embrace individuality with a fierce statement of beauty. Each piece is handcrafted with rare and natural gemstones for the modern-day woman who appreciates the touch of exquisiteness. 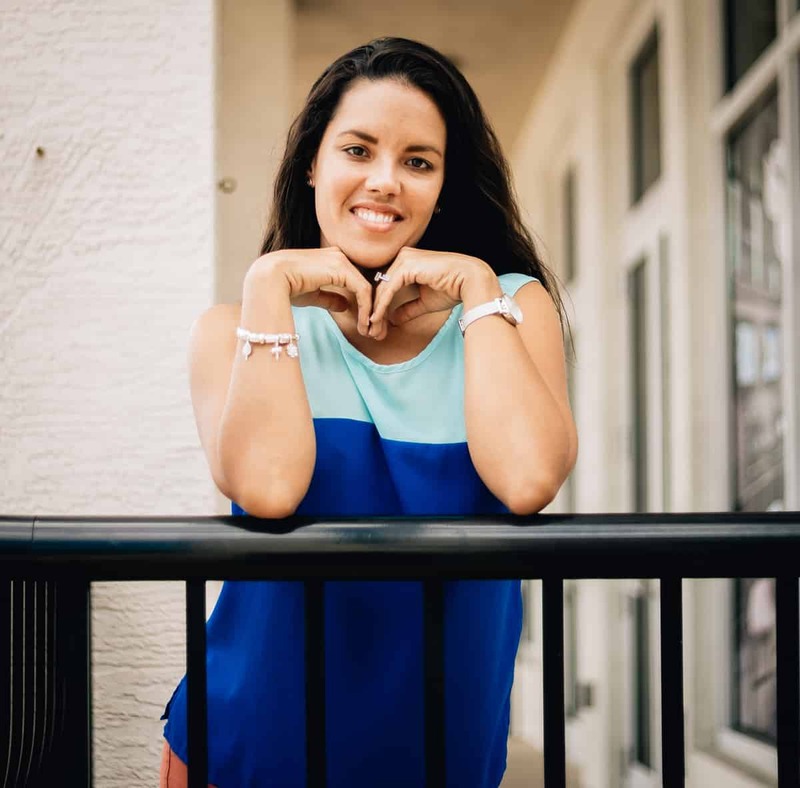 When choosing a piece for that beautiful woman you call wife, mother, sister, daughter, or a grand, rest assured that what you choose is just as one-of-a-kind as she is. Choose between gold and silver or eye-catching color schemes to reflect the exceptional beauty within the woman you care for. Perhaps you are looking for an accent to accentuate her favorite hairstyle and the shape of her face. Earrings are magical gems that bring attention to the feminine curves above her neck. The playful, yet sophisticated woman in your life probably has not only an air of grace about her but she is also a mystery. 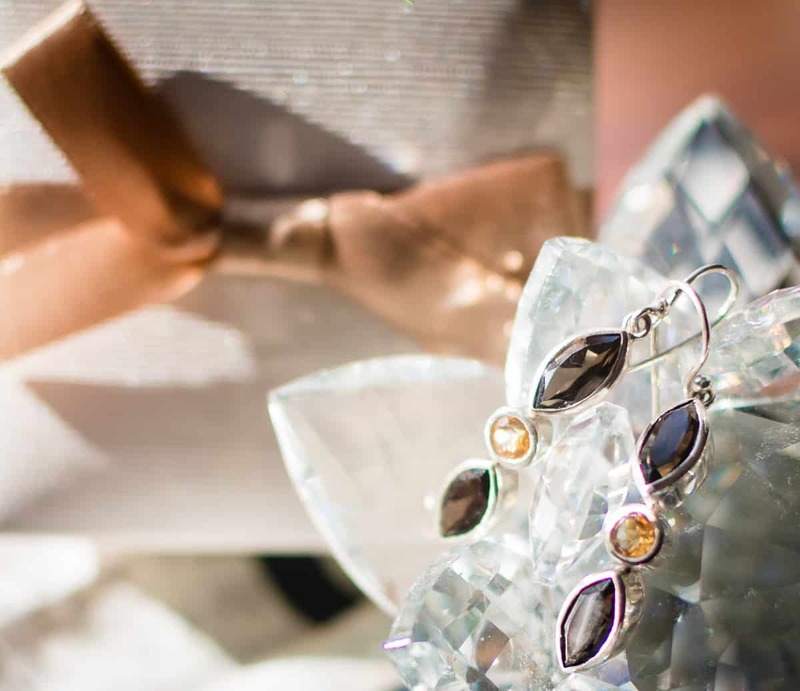 Gift her with the Smoky Maya Dangles, a marquis smoky quartz with a golden citrine in the center. When you decide to adorn her neck with a piece of jewelry, it’s not about the outfit, it’s about the individual. 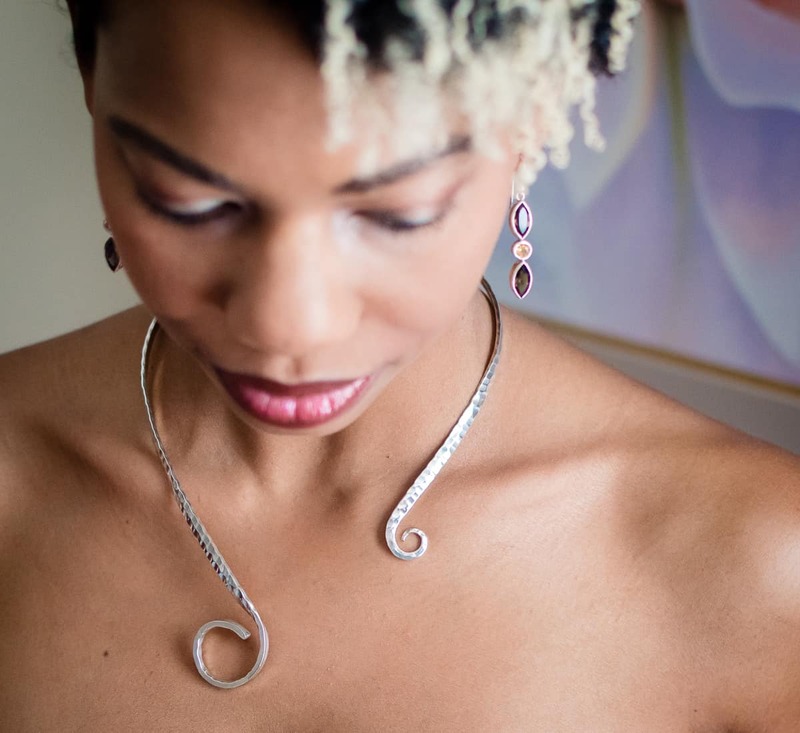 The Double Curve represents a personal and intimate connection. This is one she may choose to pair with a pendant or wear as is. This piece is suitable and elegant enough to be casual or worn for a formal event. Picture this on that wonderful lady in your life…is it personal? If so, you now have the perfect gift. Playful and elegant, your special lady will marvel at how well you know her style and personality. She may be a little bit giddy at heart, but she’s all woman and your gift is the perfect compliment to personalize her uniqueness. 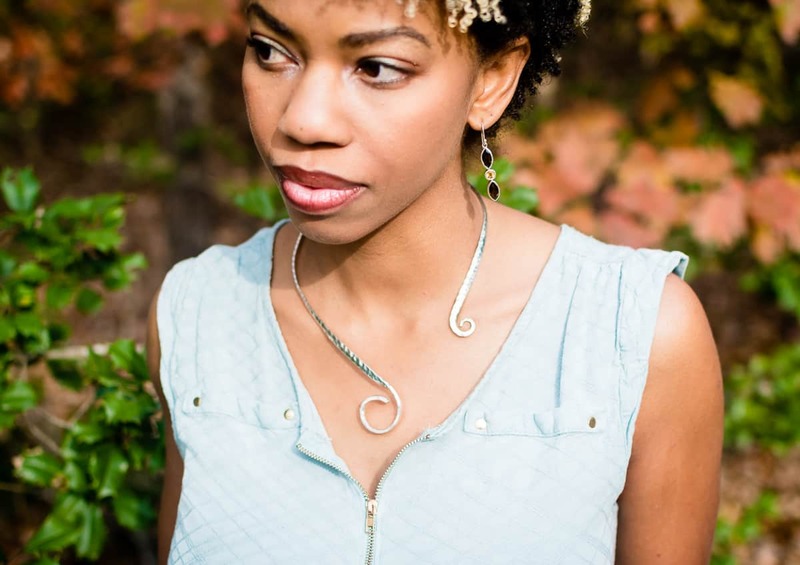 Yasha’s Jewelry isn’t just a ‘pick me I’m a pretty’ piece to consider. 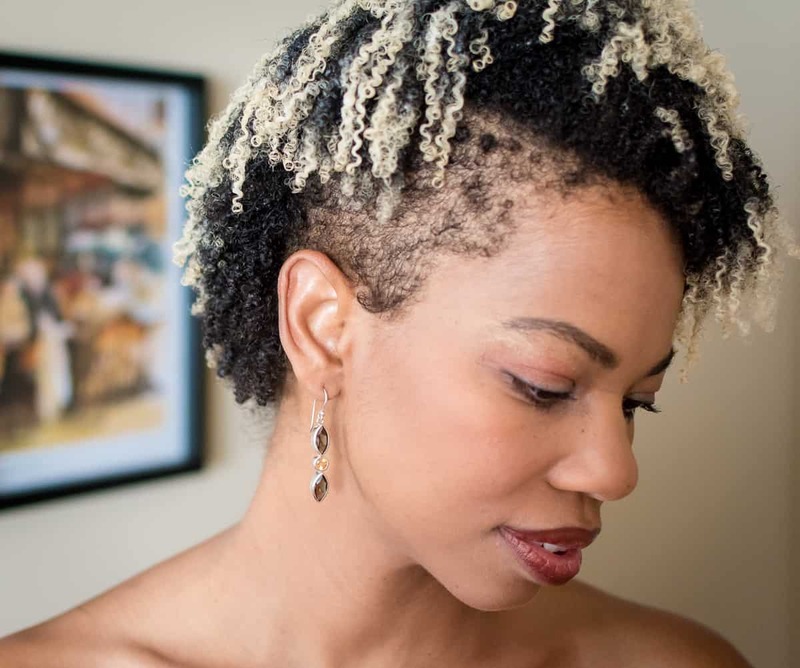 The jewelry, like your special someone, is fierce, feminine, and unique. Now her jewelry pieces will accentuate her. This Christmas give the gift of a truly original, beautifully designed gift for life from Slate Collection. Handcrafted in their Minnesota factory, every leather good for him or her is made of premium, full-grain, water-resistant leather right here in the USA. Whether shopping for the tech genius, the artist in the family, the traveling man, or the working woman, Slate Collection has timeless, classic gifts for everyone this season. As any woman knows, the beauty in a bag depends not only on its looks, but on its durability, versatility, and functionality. This holiday season gift a tote that not only hits all three but shows its beauty and timelessness on the outside as well. 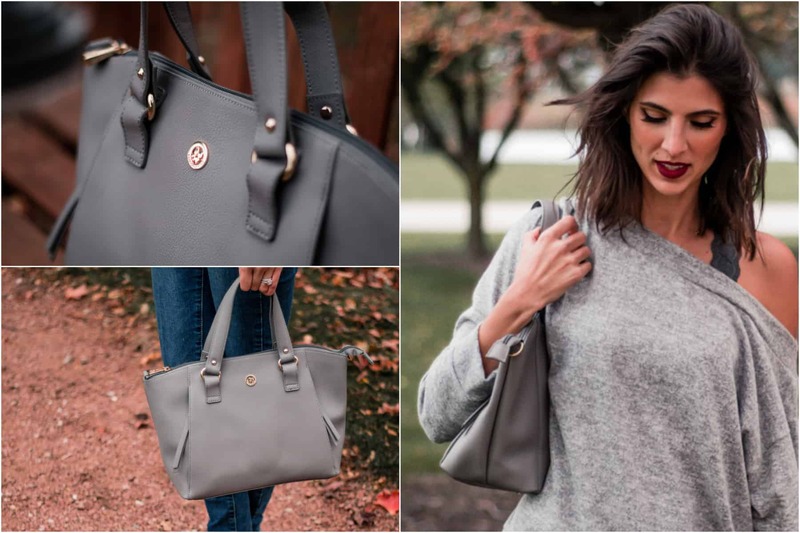 With an effortless over the elbow lift, full zippered top, and easy to stand base, the Ballard Tote from Slate Collection will be her favorite gift this year. 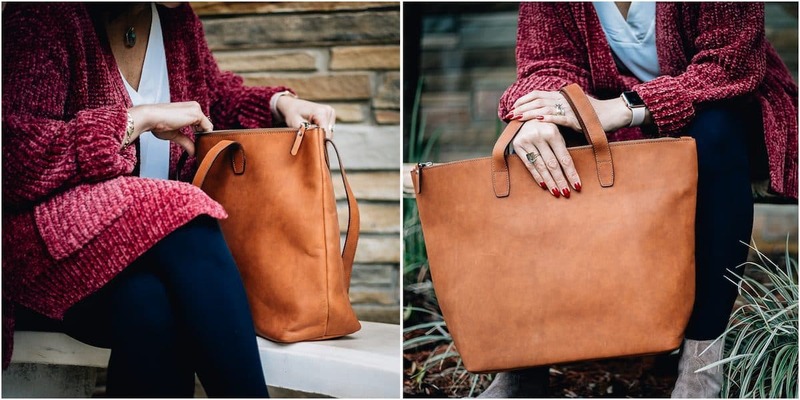 This go-to bag designed of full-grain leather with a soft suede interior blends classic and modern into one making it a timeless treasure ideal for all seasons. 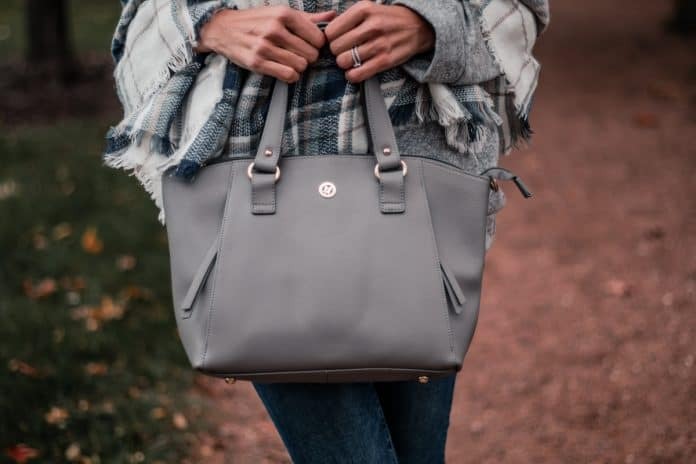 Simple to transition from work to weekend, the Ballard Tote has a roomy interior, three interior pockets, and comes in 4 colors. With personalization available, you can make this bag her own with a beautiful monogram as well. Give the gift of quality and subtle beauty this holiday season with Slate Collection. There has never been a more mom-friendly trend than “backpacks for adults.” And luckily, the trend isn’t going out of style anytime soon. Whether you took the plunge a long time ago or are just now ready to embrace it, The Row Backback is the stylish and high-quality bag you’ve been waiting for. The Row Backback is the perfect mix of versatility and style; it is spacious enough for all your daily needs and looks great with any outfit. 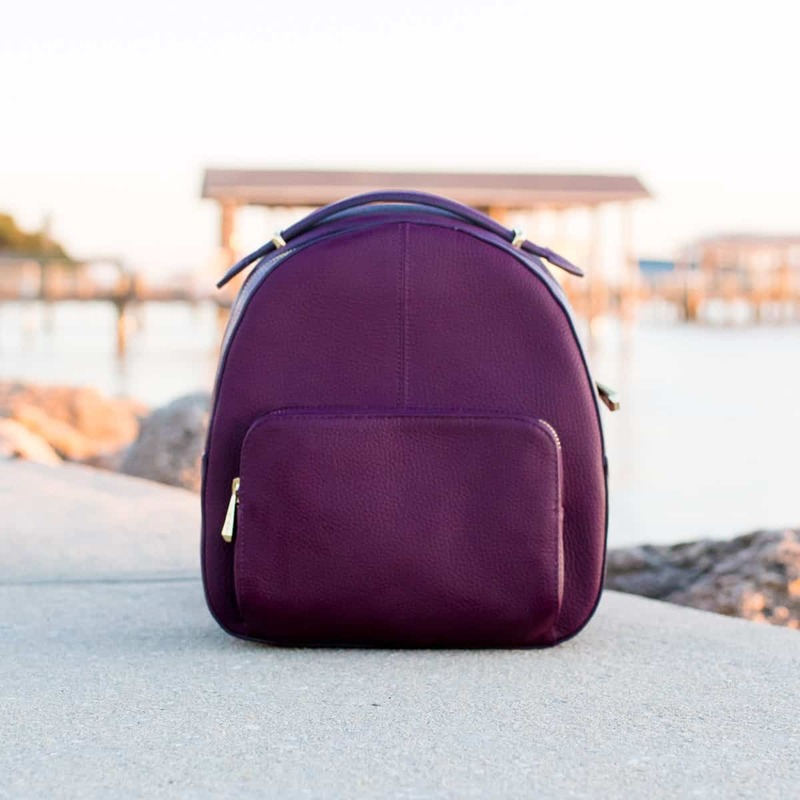 We love the vibrant grape color that this bag will add to your fall and winter wardrobe. The gold tone hardware is beautiful and adds an elegant finish to the classic leather bag. 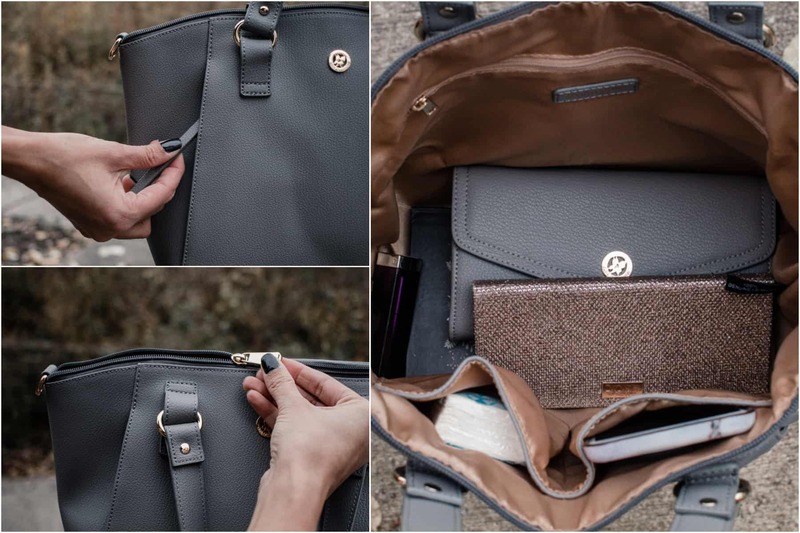 The front zip pocket adds just enough room for you to stash your cards, lipstick, and car keys for easy access. The backpack also comes in a classic black and a grey hue, so you can find one for any style. The fanny pack has made its return with a vengeance. 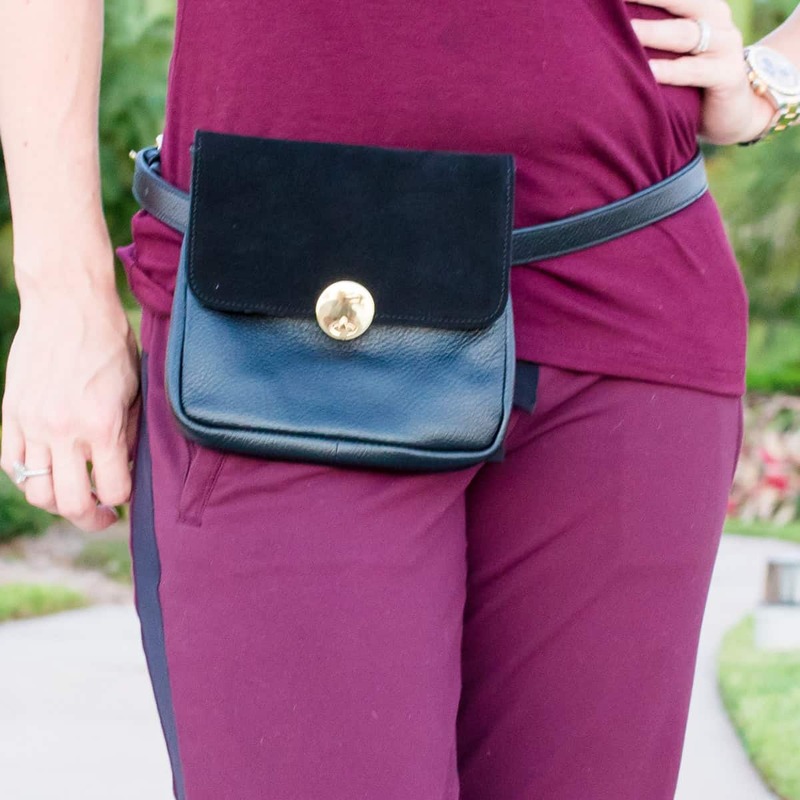 The Jo Hip Belt Bag in black is the perfect hip bag. There isn’t a more practical bag to own. It is both classically gorgeous and elegant with enough room to fit just your essentials while maintaining a sleek look. The black with gold tone hardware bring an element of sophistication to the hip bag. 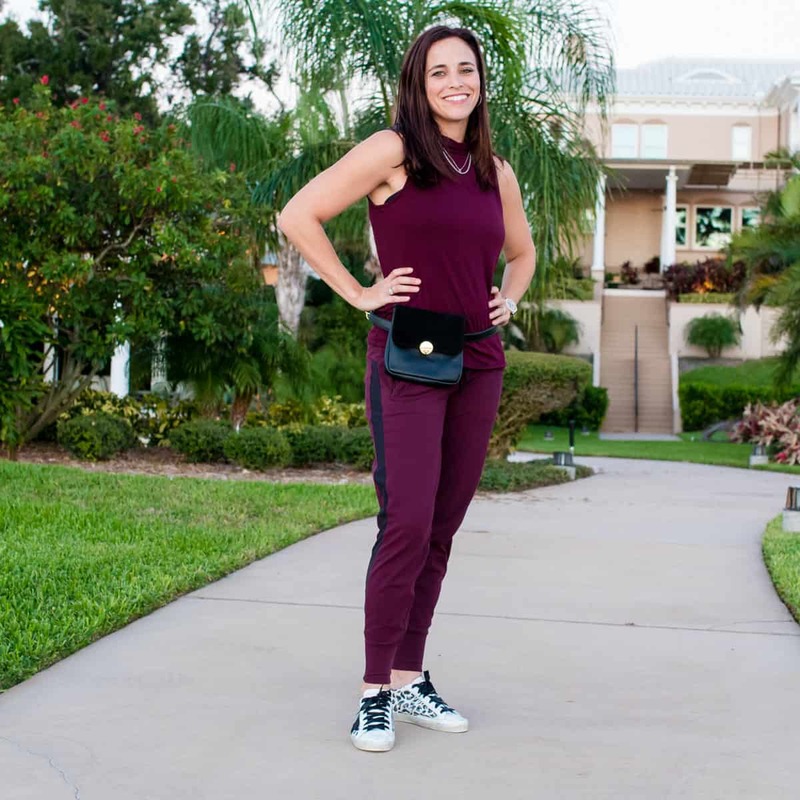 Whether you are running errands around town, taking a trip to the museum, or at the park with your little one, the Jo Hip Belt Bag will add style and convenience to your handbag collection. If you are looking to mix it up, the same hip belt bag is available in Olive, Port, Plush, Slate, and Stone Wash. There is not a woman out there who doesn’t love the bright, sparkly, shiny things in life. This holiday season show the lady in your life just how well you know and love her with the limited edition Enchanted Forest Premium Giftset by Chamilia. These original ‘charm’ bracelets are both beautiful and sentimental because over time she can select charms with meaning and significance to moments in her life. 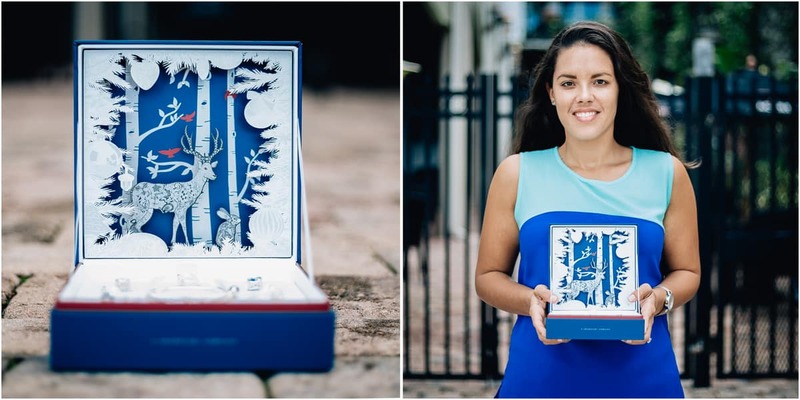 This year’s whimsical set crafted of premium sterling silver and Swarovski Zirconia comes straight out of the enchanted winter forest, complete with fairies, snowflakes, and beautiful blue crystals. With 7 charms, including 2 locks, along with the sterling silver, snap-closure bracelet, this complete set is a perfect gift to slip under the tree this year. Displayed in a treasured keepsake limited edition box, this bracelet will be her most beloved gift this year. If you have a new mama and your life pretty pockets is the best gift you can give this Christmas season. Whether she’s a first-time mom or a veteran mama of four this versatile, amazingly functional diaper bag will be hands-down the best (and last) she’ll ever need. 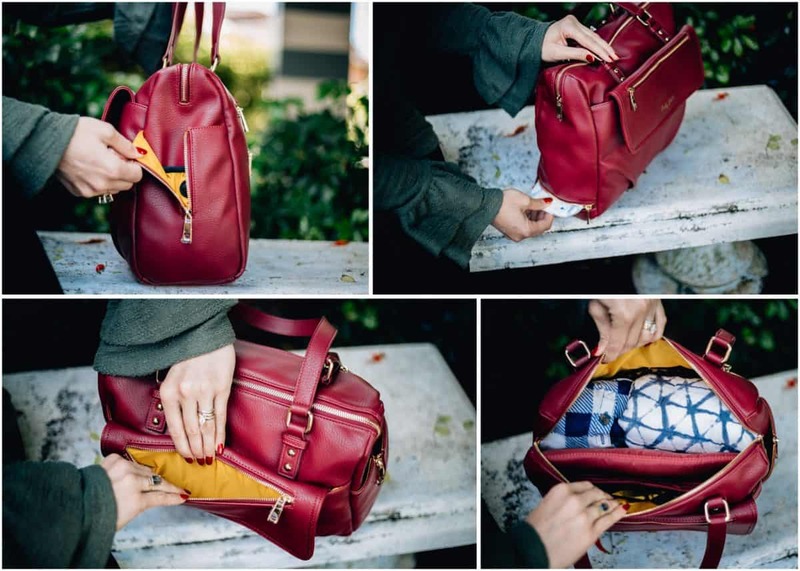 Designed by a mom for moms, the Pretty Pokets diaper bag is a sleek, stylish tote bag with an included diaper dispenser and wipe dispenser like no other. Moms will love the roomy interior, 11 interior pockets, zipper top, and most importantly the one-of-a-kind diaper dispenser. With Pretty Pokets new moms can pack their diapers at the bottom, add in additional changes of clothes, blankets, and everything else that gets tossed into mom’s bag, and still access the diapers hassle-free! No more digging to the bottom of a bag with one hand while holding a wriggling infant in the other. The strategically placed zipper allows mom to grab a diaper without any digging through a packed bag, or unloading everything in there. Easy to unzip and beautiful to carry, it is literally all she needs in a high quality, durable, diaper bag. 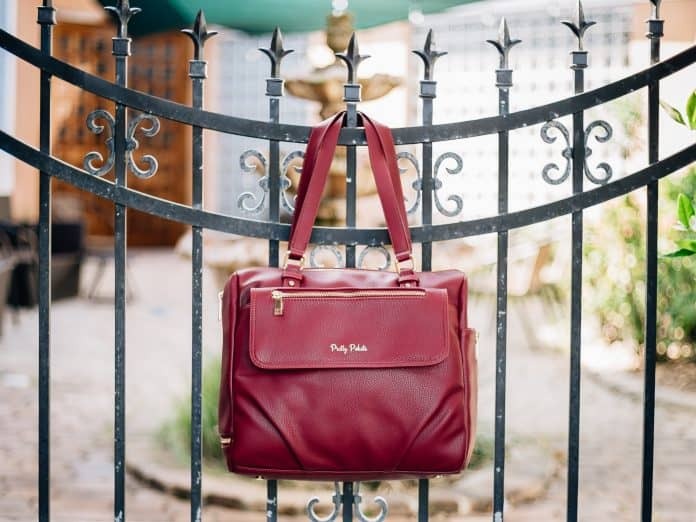 Available in a soft, subtle vegan leather with gold accents, this diaper bag can transition from the office to the weekend with ease ensuring mom won’t have to struggle with constantly switching bags or trying to keep track of her stuff. Simplicity and style are what this bag is all about. Pretty Pokets keeps moms feeling confident and carefree when out and about with baby. For the trendsetter on your Christmas list look no further than Quilted Koala for the perfect winter bag this year. 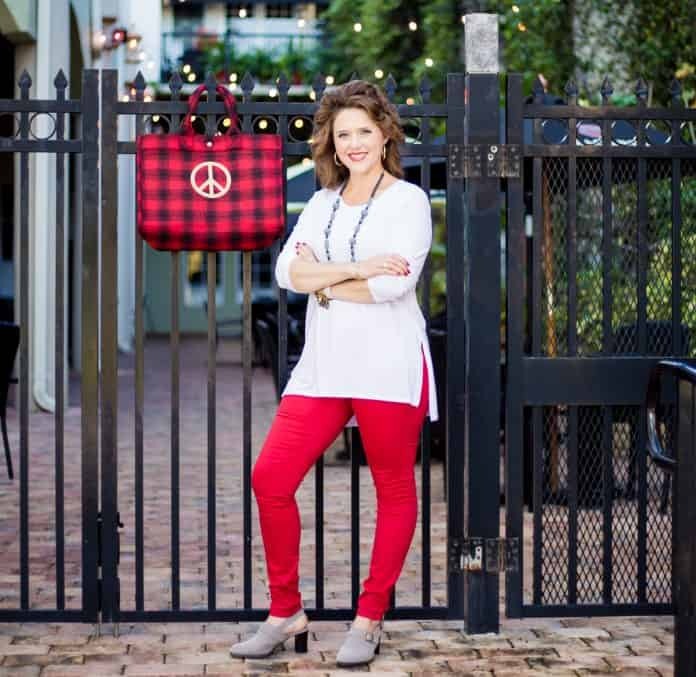 With many options to choose from their East West Bag available in Red Flannel Plaid or Grey Flannel Plaid steals the show this season. 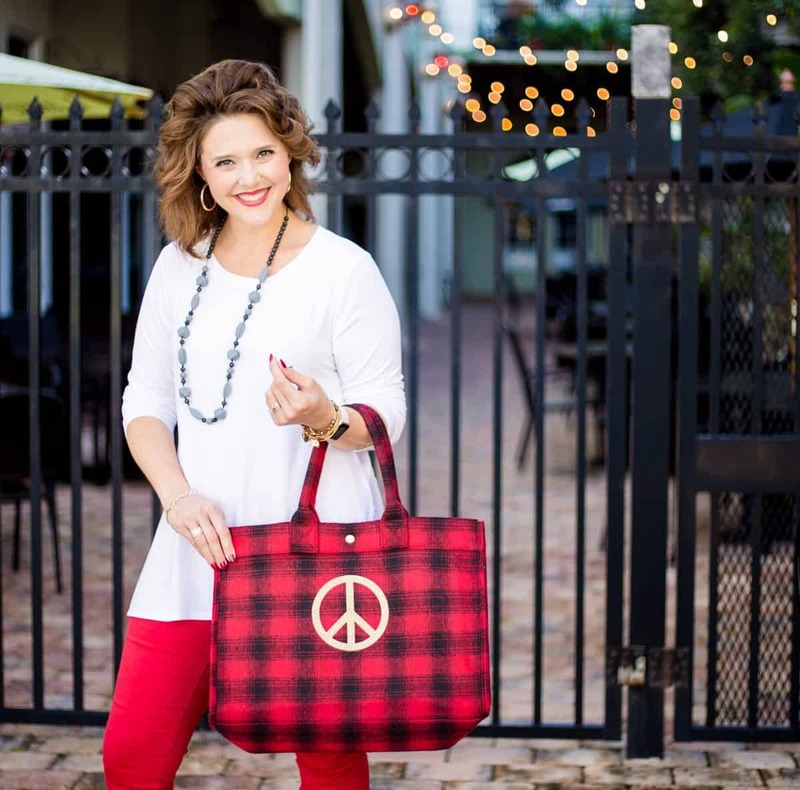 Trendy, comfy to carry, and so incredibly cute, this style will be well loved by anyone from your twenty-something niece to your plaid loving grandmother. With the option to add a glittery embellishment to the front of the bag, you can make this cute tote her own. Embellishment options include a colorful variety of skulls, peace signs, Buddha’s, Hamasa’s, evil eyes and more. This incredibly functional, roomy tote includes three interior pockets, including a zipper pocket, and top and sides snaps for closure. While Quilted Koala offers an extensive selection of other prints, patterns and bags for every season, we guarantee the lady in your life will love the Limited edition East West Bag this Christmas. 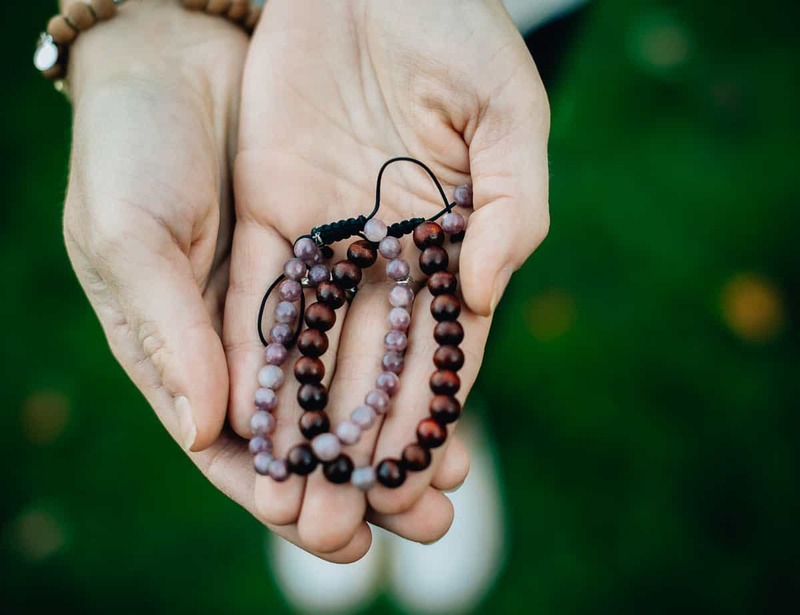 We have long been huge fans of Tiny Devotions stunning mala necklaces and recently discovered that their mala bracelets are just as amazing. Each one is thoughtfully made from sacred materials, like sandalwood, crystals, stones, and gems. 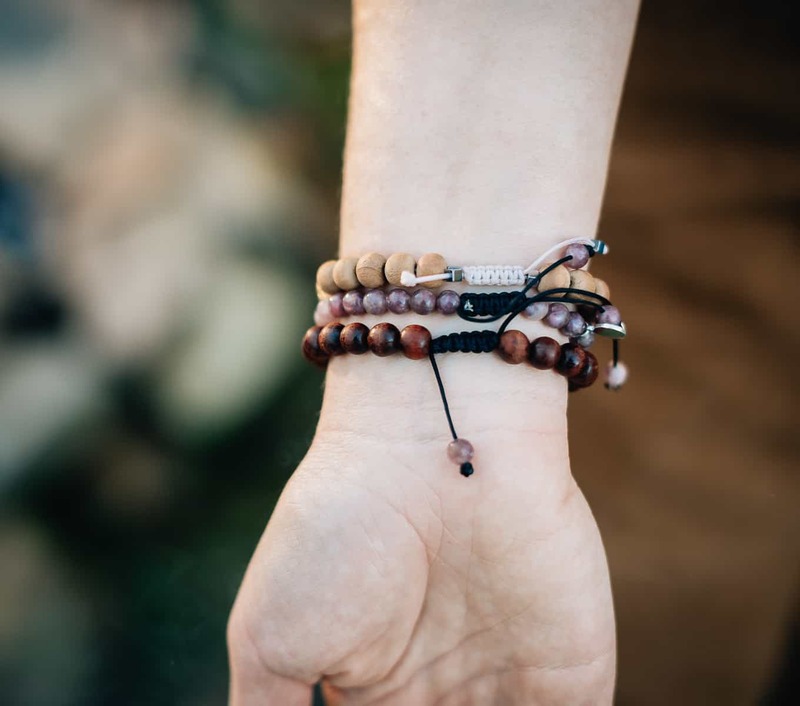 The Grateful Mindset Stack is a two-bracelet stack made with gorgeous lepidolite and rosewood. 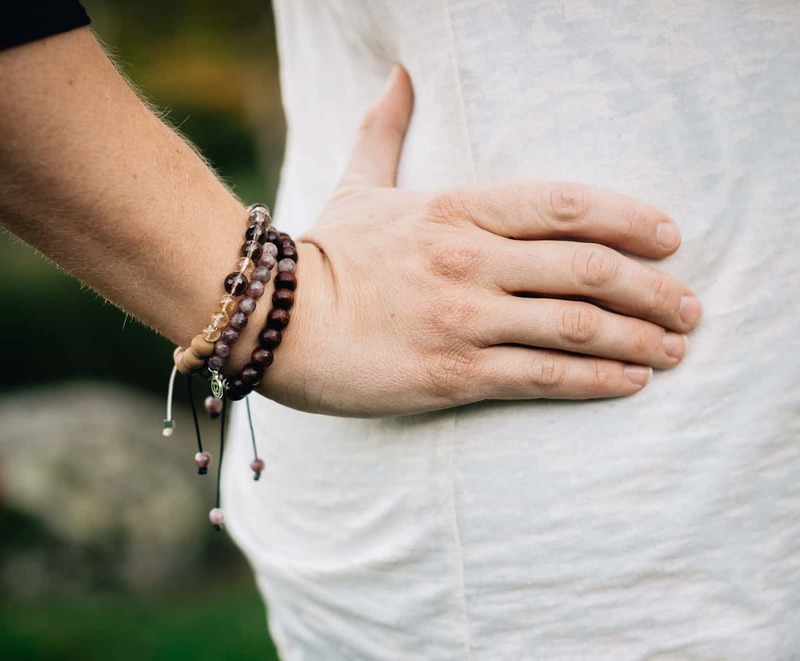 It’s meant to help inspire the wearer to practice gratitude daily, and inspire positive life changes starting with one’s perspective, outlook, and attitude. This stack brings abundance, acceptance, and appreciation. 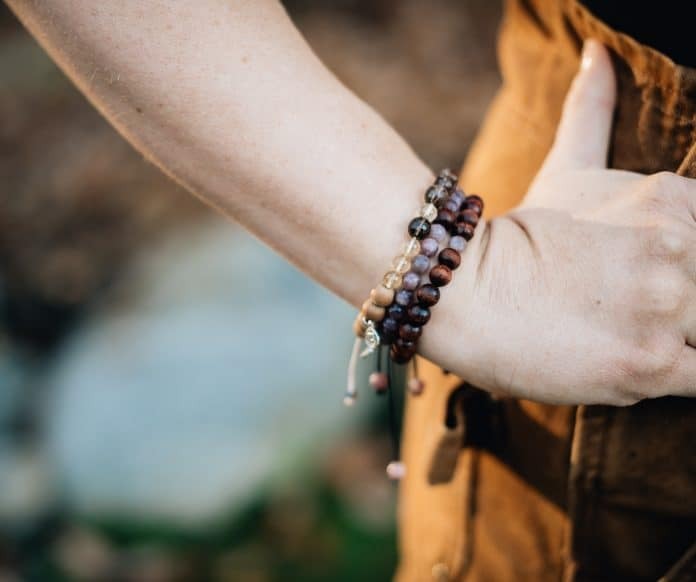 Tiny Devotions’ Live Abundantly mala bracelet is the perfect complement to the Grateful Mindset stack, as it also brings abundance. Featuring beads of citrine, smokey quartz, hematite, and sandalwood, it reminds the wearer to allow abundance to flow freely in her life. We all have those friends or family members on our Christmas shopping list that are far too unique to receive anything you’d normally buy for the holidays. This makes shopping a little challenging, but doesn’t have to be if you stumble across the right store. Enter, Wit Gifts. Wit Gifts is a sassy, quirky, snarky, funky, fresh and seriously funny company creating gifts and accessories for your enemies and friends. For our “special” friends, we did a search for unicorns and found a ton of fun options: sticky notes, carry all bags, key chains, cozies, mugs and tumblers. Some of these gifts could easily go in your kid’s stocking, but some are definitely not appropriate for child eyes. Whatever the case, Wit Gifts is sure to make you and anyone you gift laugh this holiday season. Life is too short to be serious, so have fun with your gift-giving this year! The clock is running down on the holidays, but there’s still time to get those last few gifts you need, especially if you’re looking for stocking stuffers or small gifts for friends and family to round out your shopping. If you’re looking for something unique, take a look at Karma Gifts. For the llama lover in your life, these delightfully cute trinket dishes make a super sweet gift. They are the perfect accessory for your bedside table, window sill, coffee table, or desk. Sit pretty and store your precious jewels in the dish while you work. These small plates are suitable for anything from jewelry and hair ties to paperclips and stationery. Available in multiple fun designs, friends and family will love that you thought of them this holiday season. Another sweet gift that your friends will love is this round travel case. This pint-sized case is great to keep your headphones or jewelry safe as well as any other little bits you have laying around. Made from vegan leather and featuring gold prints with pretty pictures or fun words atop, these round travel cases are a great gift for friends and family or to keep yourself. Every gift that comes from the heart is a gift worth giving. 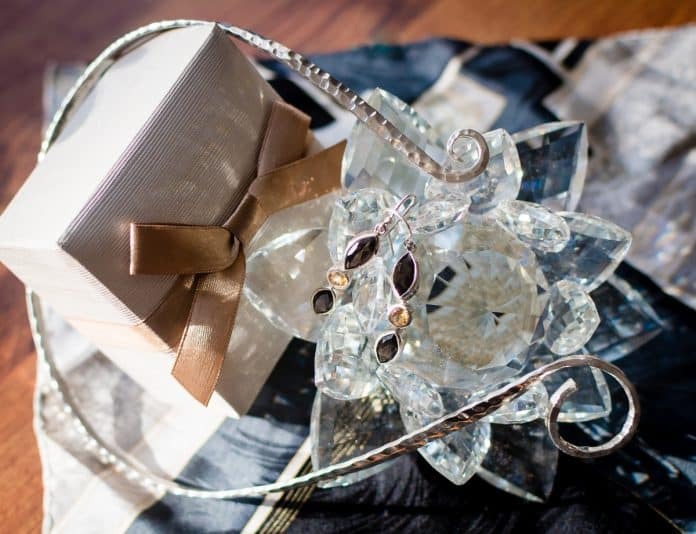 Giving a gift that says ‘I was thinking of you’ is a great way to spread love and cheer this holiday season. Big or small, expensive or affordable, the thought is what counts when it comes to holiday gifting. So put a smile on her face, let her light up the room, and ensure the leading lady in your life knows how much you truly notice and appreciate her this Christmas.